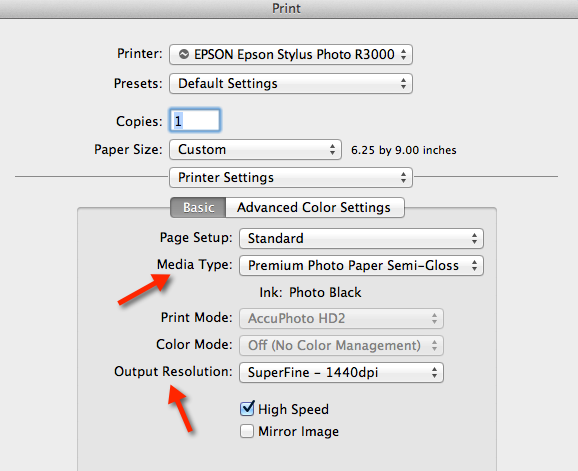 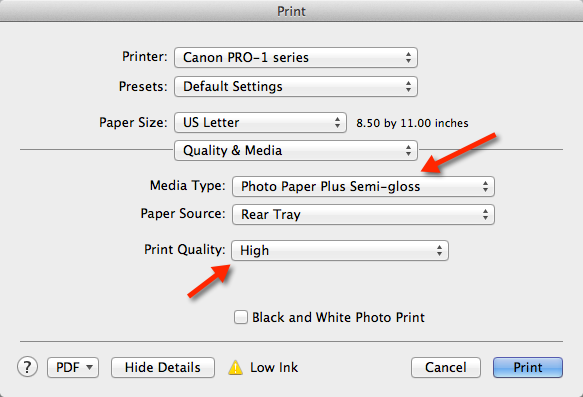 Photoshop Elements 11 & 12 will automatically turn off your printer's color management. 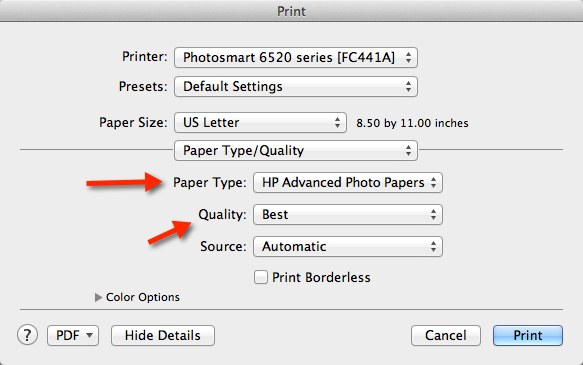 You will not see Red River Paper product names in this drop down. 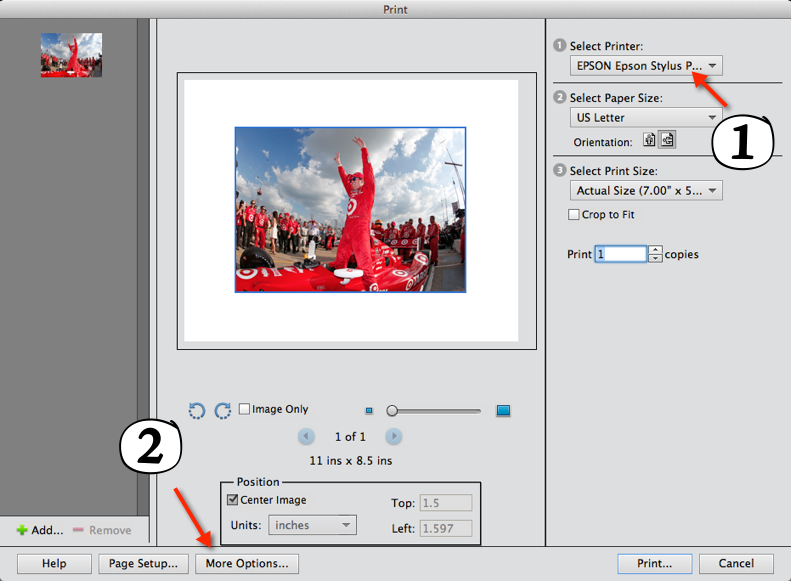 Choose the setting based on the profile's instructions. 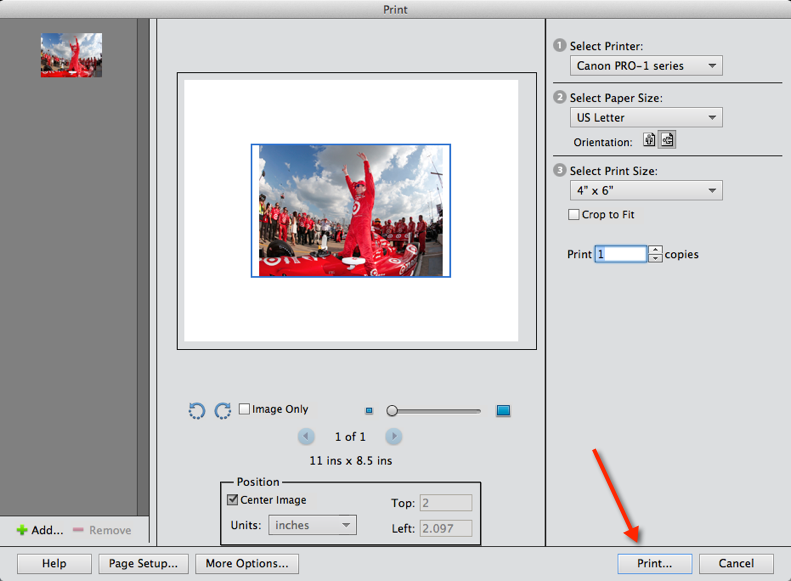 Below are examples of the print dialog for Epson, Canon, and HP printers. 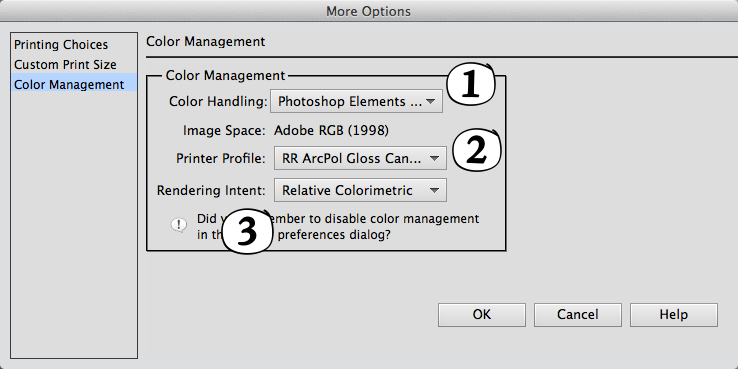 Yours may look different, but the setting requirements are the same.